Aren't they nice? Shot few minutes ago on Pentax (or Ricoh?). Lots of mushrooms this year. 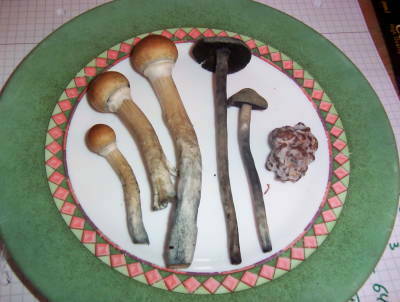 >The mushrooms are some kind of bolete. No. it is two kind of mushrooms on second photo. In Russian they are called подберезовики и подосиновики. After trees names (so it'll be under-birch and under-aspen if you translate russian names to english). 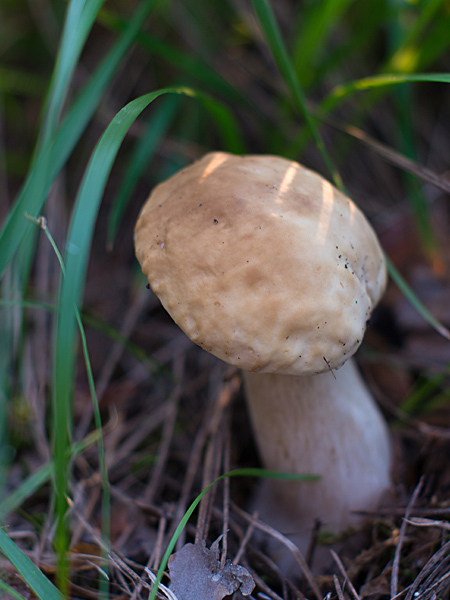 The mushrooms are some kind of bolete. Probably Porcini. Too bad about the focus breathing on the Samyang 35mm. It looks like a winner for stills but maybe not so much for video. aha!!! 'shrooms! check out my very first footage with the GH2 (all specifics in the description). Terence McKenna would be proud. Wonderful lens. Sharp from F1.4 and good colors. But breathing is very noticeable. Are you referring the $499 35/1.4 that's also sold under various names aka Samyang? Btw, very important addition - focus breathing on Rokinon 35mm is severe. I think it is strongest from any lens I have including zooms. 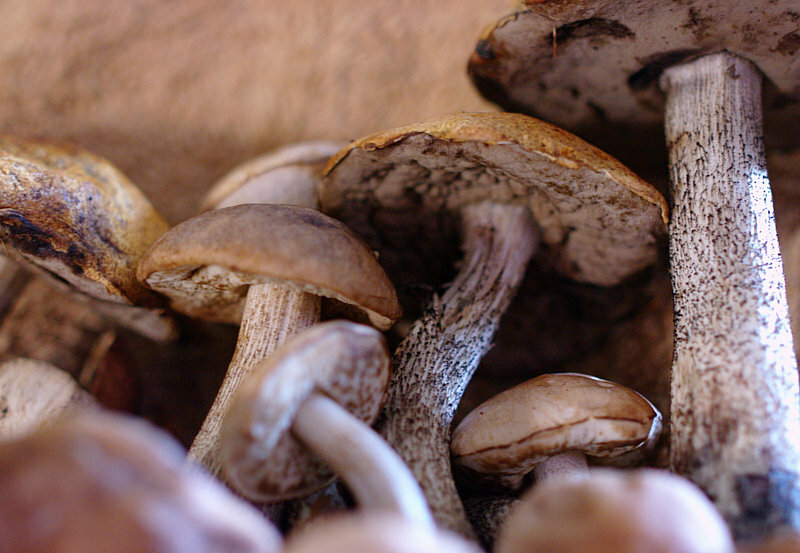 Magic mushrooms may be good for you after all. I love mushrooms! even though I've never picked them but it seems really interesting. I could never understand people who don't like mushrooms. They're nice even raw. Yeah, this is different mushroom (called белый or боровик). It is not so good fried. But plan to go this weekend. 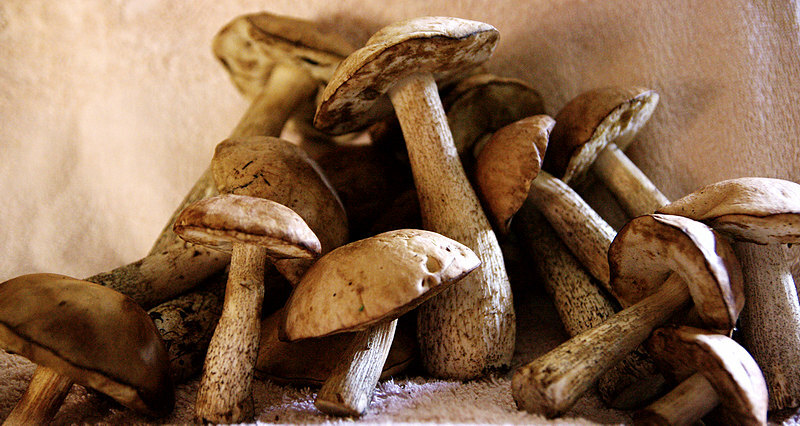 We had very good nature here and this year is very good for mushrooms.